Sketty Therapies, Physiotherapy, Craniosacral Therapy, Psychotherapy, Homeopathy, Counselling, Massage, Reiki, Indian Head, Hot Stones. Treatment Vouchers available for that perfect present or a simple thank you. A Warm Welcome Awaits You At Sketty Therapies. 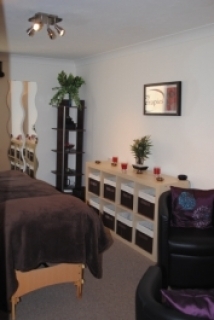 Sketty Therapies opened July 2010 as a Complementary Therapy Centre situated in the heart of Sketty. Its luxurious spa like surroundings provide the ideal environment for our large selection of treatments and restorative therapies. Whether you have physical aches and pains, suffer from stress, anxiety or tension or just want a little relaxation and pampering, then our specialised practitioners can provide the bespoke sevice for you. Our Practitioners include a Chartered Physiotherapist, Craniosacral therapist, Massage therapist, Homeopath, Psychotherapists, Counsellors and Hypnotherapists. Treatments include reiki, reflexology, baby therapies. All our therapists are professional, highly specialised and registered with the appropriate professional associations. You can find us on the main Gower Road through Sketty, between Lloyds bank and Coral and above The Square Peg Coffee House. There is a large car park opposite on Eversley Road and a bus stop directly outside the Centre. If you require any further information or would like to discuss a particular therapy, please contact the centre, pick up a brochure or visit the therapists page where you will find individual contact details for all the therapists and links to their own websites. Take your first step towards health and wellbeing at Sketty Therapies - call us today on 01792 449822.